Search for the the device on the Health@Home product. 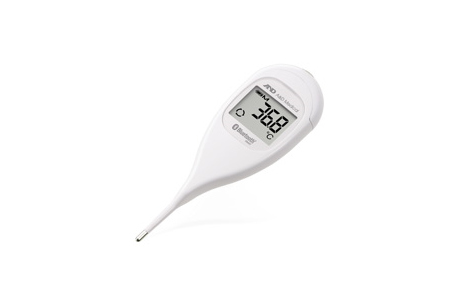 Connect to the thermometer using the Health@Home product. The thermometer should beep twice to indicate it has finished pairing successfully.